In a recent trip to my local library, I came across a crisp, new paperback edition of The Godfather. I have seen the movies (I and II) an embarrassing number of times, but read the book just once, in 1969 when it was first published. So I took it home, curious to know if it still packed the original wallop that made it a blockbuster best seller. The opening pages contained two introductory pieces. The first was headlined A NOTE FROM ANTHONY PUZO, SON OF MARIO PUZO, and it was in caps, as I have written it here. It was two pages of unreadable gibberish, intended, I suppose, to give this volume some kind of familial, folksy varnish, an idea probably hatched in the eager mind of an underpaid, over-confident wannabe in a cubicle at Penguin Random House, where ideas like this one flourish until they flounder of their own mistaken value. Next came an Introduction by Robert J. Thompson, who turns out to be (I’ll insert this verbatim) The Founding Director of the Center for Study of Popular Television at Syracuse University, where he is also the Trustee Professor of Media and Popular Culture at the S. I. Newhouse School of Public Communications. Well, that’s a dizzying title indeed. I wonder how it fits on his business card. 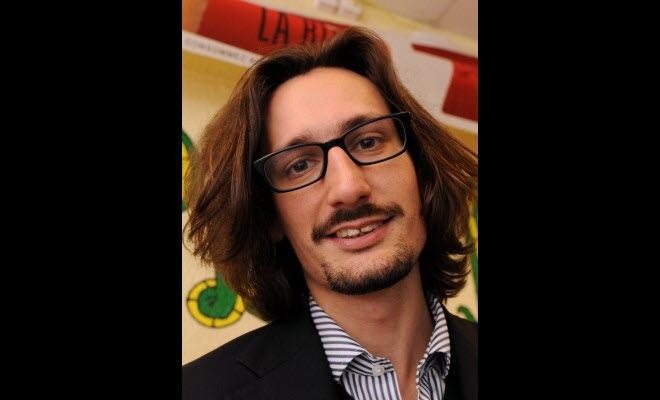 It seems that this worthy academic has published five volumes, all about television, and is now busy finishing his sixth, a history of the medium. The introduction, entitled Introduction, was eleven pages of hyperbolic hipster speak, the pages numbered, as intros so often are, in Roman Numerals. Eleven glib and wittily urbane pages seemingly designed to place Mr. Thompson somewhere between being the lost Corleone son that Puzo left out of the book, and someone you might bump into para-gliding at Club Med, wearing an ill-fitting speedo. And certainly, someone to avoid, should you find yourself behind him on line at Starbucks. Publishers mystify me. 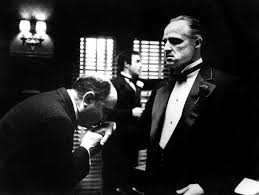 Can there be a book, other than Mein Kampf or The Bible, that has reaped higher revenues for its imprint, down through the years, than The Godfather? I’m guessing not. Yet, at a new projects meeting, in the conference room at Penguin Random House, as ideas were suggested around the table, some young literary Turk spoke up and said, “Maybe it’s time for another go-round with The Godfather”, which was probably received, in equal measure, with the appropriate grunts and moans. To which our young hero responded, “No wait, it might work. Provided we package it correctly. Let’s get someone who knew the author well, maybe a Puzo family member, to write a short introductory piece. And then a project narrative by a media writer. God knows, there’s no shortage of them. We include them as ‘extras’, like a director’s commentary track on a DVD. Packaging. That’s the ticket”. Ideas like this are not necessarily suicidal, provided somebody rides heard over them, supervising quality control over who is chosen to write the ‘extras’, and what is written. But, more often than not, corporate auto pilot takes over, and important details are ignored. Hey, it’s The Godfather. They’re going to buy it no matter what. So, an intern was tasked with going through all those dust covered rolodexes in the storage room to come up with a willing Puzo family member. This process yielded Anthony Puzo, the author’s son, who gladly agreed to write a few pages about the pain his father went through in struggling to create his masterpiece. And a quick Google search revealed an unlimited number of media writers, with Robert J. Thompson’s name up there at the top of the list. An academic with a title a big as the Ritz. Thompson quickly agreed to deliver eleven pages on The Godfather’s impact on Pop culture over the 48 years of its existence. Hey, the guy’s a Trustee Professor. Whatever he writes will be just fine. Even if it’s eleven pages of self-indulgent clap trap, constructed to portray Thompson’s awareness of the impact of the Godfather on pop culture, rather than the impact itself, and as a result, exuding the coolness this academic feels is his due. The packaging aside, let’s get to the book itself. It still works. It’s a well-constructed story, with colorful, memorable characters, a brisk pace, and a satisfying conclusion. The only real fault I could find with it is Puzo’s prose. While his descriptive narrative is fine, the dialogue is sometimes awkward and forced. Also, the male-female relationships seem a product of the era (the 1940’s), and the characters (depression era Italian Americans). That said, many of the conversations between the sexes are cringe-worthy. The addition of Francis Ford Coppola, as co-writer for the movie screen plays vastly improved the dialogue, and cleaned up much of the book’s murky areas. Because of his friendship with then Attorney General Robert Kennedy, Peter was given unlimited access to Joe Valachi in his prison cell. When I asked him about Puzo, Peter took the high road, which was typical of him. This brings us to a question I have asked myself many times over the years. Could Mario Puzo have written The Godfather, had not Peter Maas written The Valachi Papers? Although published in 1968, Maas wrote most of his book between 1963 and 1965. Valachi’s startling revelations about organized crime in America, before Senator John McClellan’s Senate Subcommittee in 1963, proved to be an embarrassment to J. Edgar Hoover, who had insisted for over thirty years, that the Mafia did not exist in America. 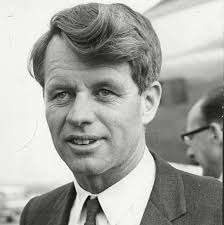 Between 1963 and 1965, because of his friendship with then Attorney General Robert Kennedy, Peter Maas was given unlimited access to interview Joe Valachi in his prison cell. These extensive interviews would eventually yield Maas’s book, The Valachi Papers. 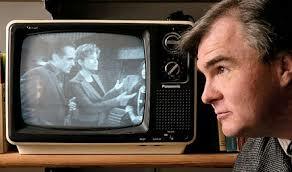 But Hoover was dead set against the publication of a book, the contents of which would make him out to be a fool. After Kennedy left office, in 1965, Hoover put pressure on Lyndon Johnson to lean on Kennedy’s replacement at Attorney General, Nicholas Katzenbach, to prevent the publication of Maas’s book. For over two years, Maas negotiated with Washington to get some version of his manuscript published. He finally succeeded in getting approval to publish a heavily censored version, and The Valachi papers was finally published in June of 1968. Much of Valachi’s elaborate testimony before Congress in 1963, was revealed and expanded in Maas’s book, and America became aware of the details surrounding the enormous criminal enterprise that J. Edgar Hoover had repeatedly insisted was non-existent. 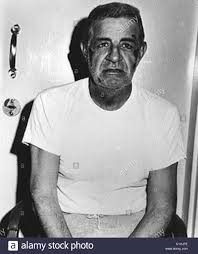 Joe Valachi in his prison cell, photographed by Peter Maas. The details, and the history of La Cosa Nostra both shocked and fascinated the world. Joe (Joe Cargo – shortened to Joe Cago) Valachi was born in 1904, in East Harlem to an impoverished Italian American family. 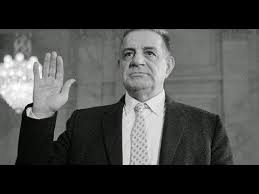 He ran with a gang of thieves, committing small burglaries until finally being inducted, in a formal ceremony, into The Genovese crime family. The book revealed his involvement in The Castellammarese War in the early 1930’s. This war pitted the two most powerful crime bosses of that era against each other. Joe (The Boss) Masseria and Salvatore Maranzano would battle for supremacy in New York’s criminal underworld. These were two old time gangsters, called by the younger soldiers “Mustache Petes”. They would compete in deadly combat for the title of Capo di tutti capi (Boss of all bosses). 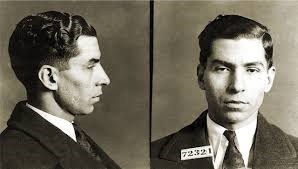 After the death of both gangsters, an organization was formed by this criminal society’s rising star, Charles Lucky Luciano, who would consolidate New York’s criminal gangs into the Five New York Families, overseen by an organization known as The Commission, that would resolve disputes between the Families peacefully. This organization would become known, among its members as La Cosa Nostra or This Thing of Ours. Details were revealed in Maas’s book, like the oath of Omerta, or silence, adhered to by members under penalty of death. The sacred ceremony of admission to La Cosa Nostra. The structure of the society, imitating the hierarchical fundamentals of the Roman Legions. Details about the characters, the language, and the structure of this criminal society were now public knowledge, due to Valachi’s testimony, and Maas’s book. Lucky Luciano would consolidate New York’s criminal gangs into the Five New York Families. 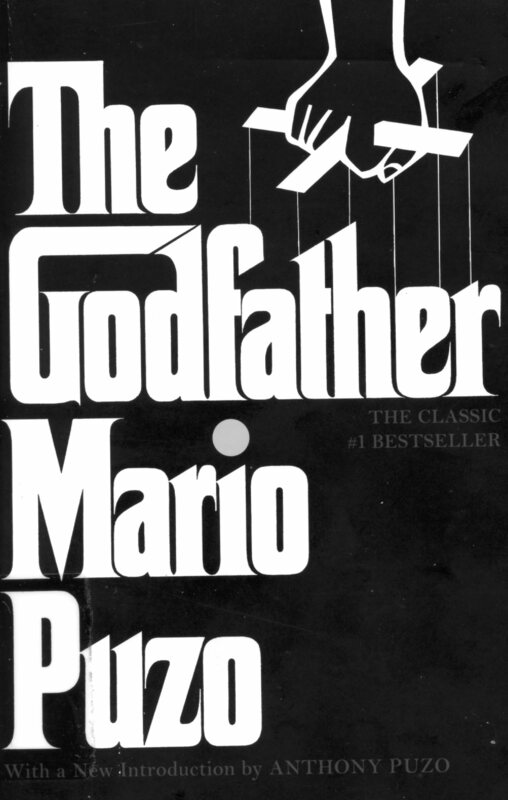 A year later, in March of 1969, The Godfather was published to rave reviews, and quickly became the best selling novel in the history of publishing. And what was contained on the pages of The Godfather? The oath of Omerta, The Five Families. The Commission, the language of this criminal society; all originally revealed a year earlier in The Valachi Papers. Could this be coincidence? I knew Peter Maas pretty well when I lived in The Hamptons. Many of us played tennis on Peter’s har-tru court, at his house in Bridgehampton. So, one day I asked him. Did Mario Puzo ever call him up to thank him? He took the high road, which was typical of Peter. He told me that he knew Mario, and liked him. 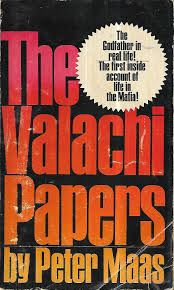 The Valachi Papers, while not yielding the fortune Puzo had made with The Godfather, had also been a best seller, making Maas quite a bit of money. He was sanguine. My conclusion, from all that is written above, is that The Godfather could never have been the iconic literary conflagration it became, without the publication of The Valachi Papers, a year earlier. Peter Maas had supplied Mario Puzo with the historical events, the characterizations, the language, the structure of La Cosa Nostra, and the every-day experience of ‘life in the mob’, without which, The Godfather could never have been written. 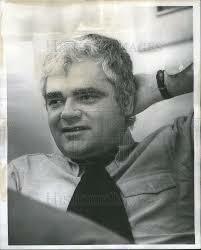 The Godfather could never have been written, had not Peter Maas published The Valachi Papers a year earlier. This entry was posted on August 18, 2018 by shauncostello. It was filed under Fiction and non-fiction from Shaun Costello, Uncategorized and was tagged with Anthony Puzo, Bobby Kennedy, J. Edgar Hoover, Joe 'The Boss' Masseria., Joe Valachi, La Costra Nostra, Lucky Luciano, Lyndon Johnson, Mafia, Mario Puzo, Nicholas Katzenbach, Organized Crime, Peter Maas, Robert J. Thompson, Salvatore Maranzano, The Castellammarese War, The Five Families, The Godfather, The Valachi Papers.